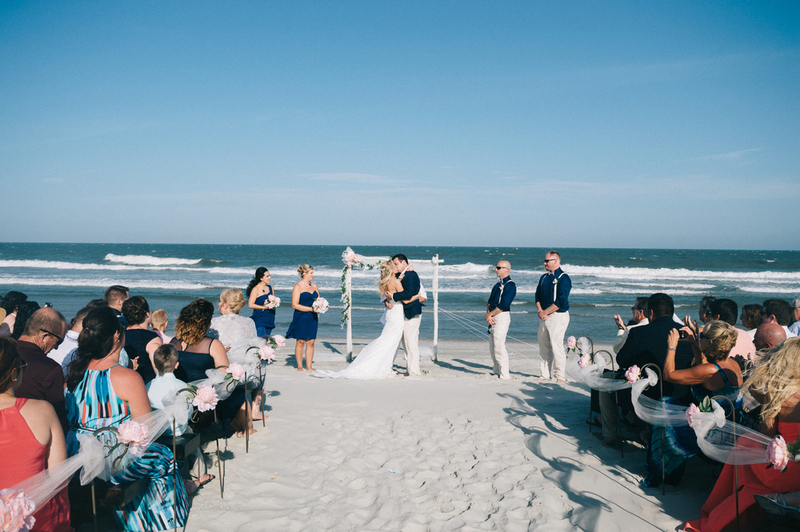 One of the most popular and ever growing trends in Myrtle Beach destination weddings is the small intimate gatherings at ocean front beach houses. 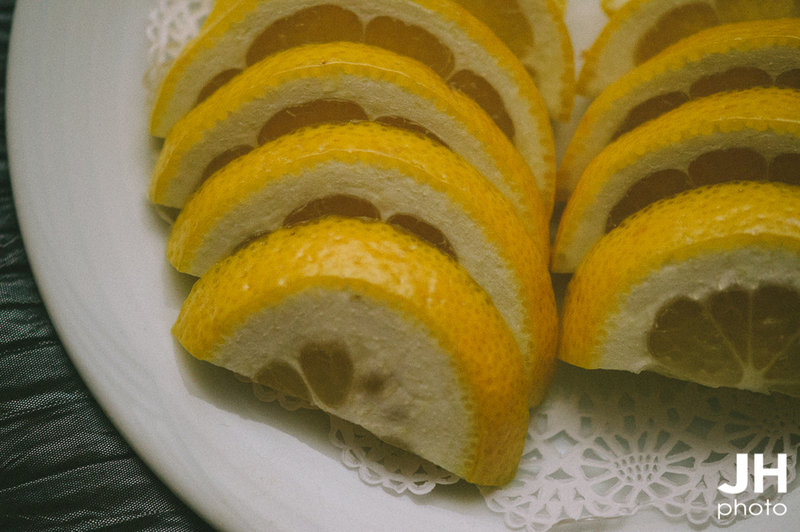 It is an awesome way to cut down unnecessary cost and focus on the things that really matter to you. For Trish and Ryan, with only a small amount of guests, it was important to have something that fit perfectly just for them. 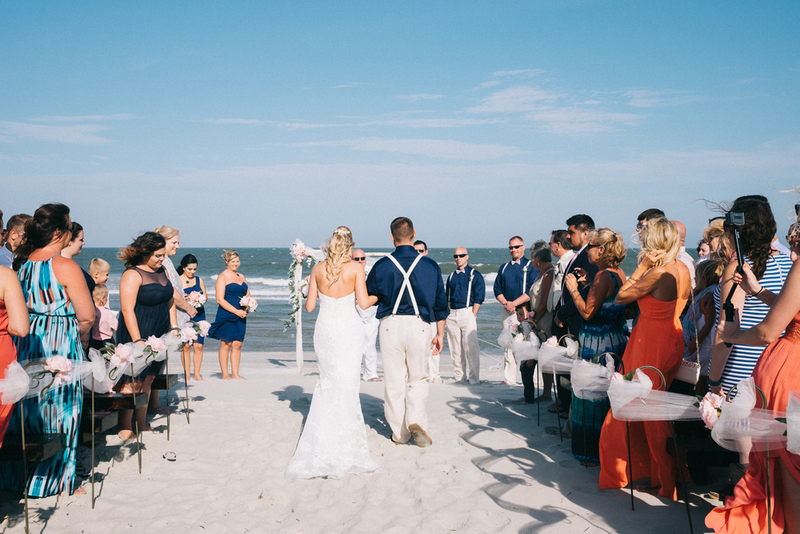 with a gorgeous beach wedding and intimate reception, I think they everything turned out splendidly. Even with storm clouds rolling in, it was a beautiful night filled with fun, laughter and even a dip in the pool. Enjoy! 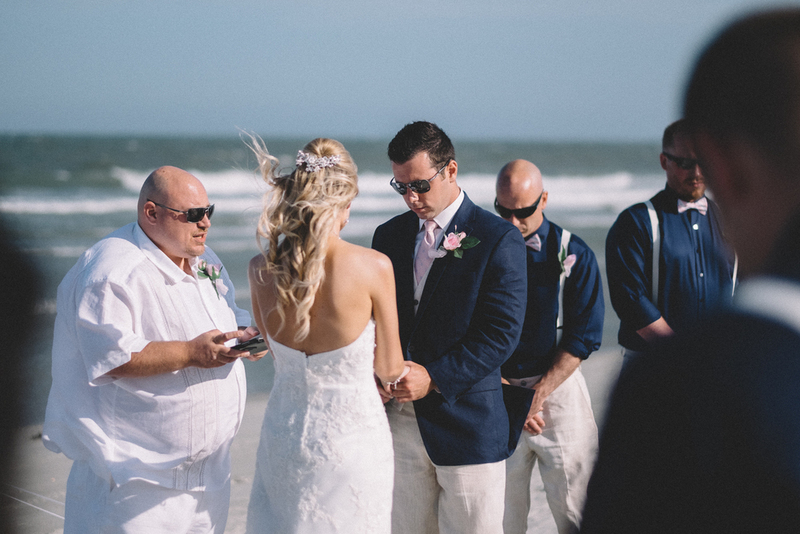 This Myrtle Beach destination wedding at Breakers Resort created a magical day for Albert and Cheryl Rosa. In fact, Cheryl’s unique personality showed through with her handcrafted bouquet and use of a vintage car. It doesn’t stop there, as it is also sure to put a smile on your face when you realize their dog plays an important role in their bridal party. 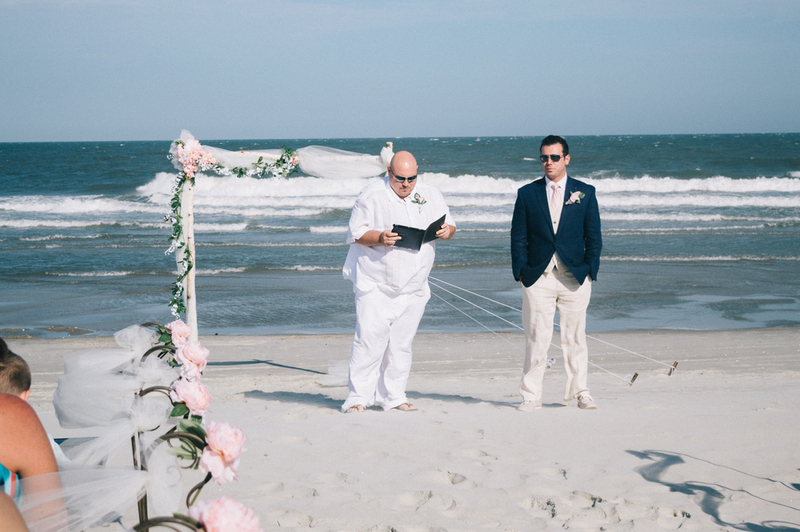 It was a beautiful day in North Myrtle Beach as the Wojcik couple renewed their vows with their son as their lead the ceremony for his parents. 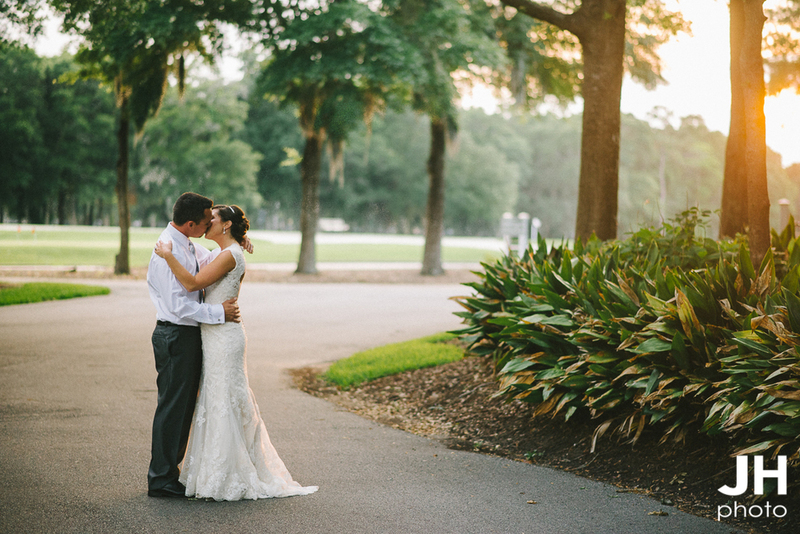 They couldn’t have chosen a more stunning location then North Beach Plantation. It was a simple yet lovely ceremony that will forever mean the world to them as they continue their lives together! If you are looking for a luxurious venue for a wedding of any size, look no further than 21 Main and North Beach Plantation! 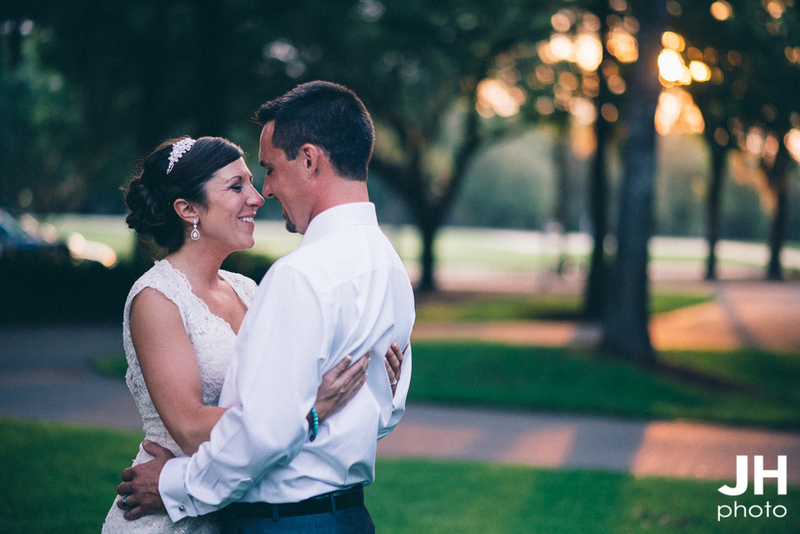 This beautiful South Carolina wedding was a wonderful treat and perfect example of the southern charm that comes standard with down home weddings. They were such a sweet couple and easy to photograph which made for a ton of fun. The dress was found at Amanda's Collection in Conway, South Carolina and floral arrangements by Granny's Florist. Being one of the last events of my 2014 season, this beautiful Christmas time wedding was absolutely a blast. With all the fun that 2014 came with, it was wonderful to end on such a great note. At Saint Peter's Lutheran Church, the couple said their vows and had a wonderful reception that followed. My good friend, Pastor Jeff Dunn of Christ United Methodist Church officiated the ceremony and did a wonderful job with an emotional message that made everyone's hearts swell. I think my favorite moment was when he took the opportunity to charge the crowd with praying for the couple and their upcoming life together, then asked the couple to turn around and see all the hands raised of those willing to commit to helping strengthen the bond these two were creating. All in all a wonderful day and I think everything turned out beautifully. Now I could sit here and list everything I think is so perfect about Brookgreen Gardens, but looking at these photos, I doubt I will have to explain what is so special about the once rice plantation. The trees, the foliage, everything makes this place the perfect wedding venue in any season. If you are looking for a wedding photographer, click here to contact me for a consultation! 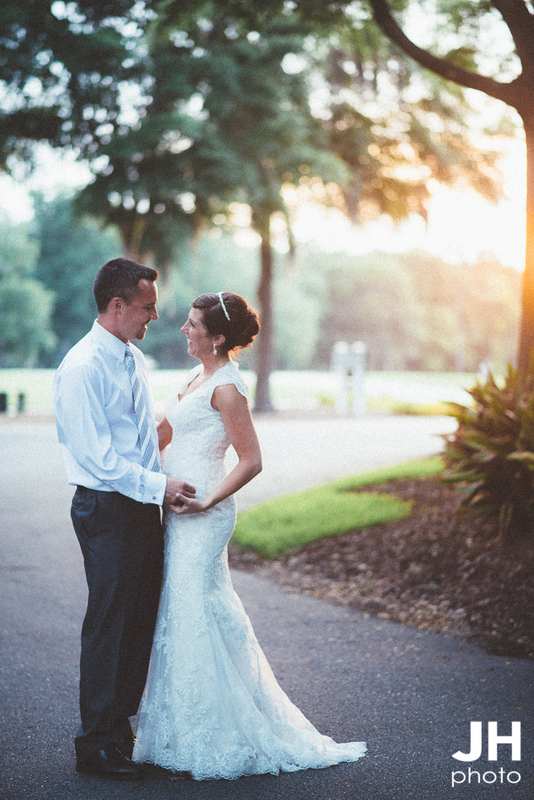 Lowcountry weddings are always special to me. Don't really know why I am so encapsulated by it, but there is something about the mixture between the inlet, beach life and southern hospitality that makes me feel at home. One place that is a wonderful example of what the lowcountry has to offer, is Pawleys Plantation. With a wonderfully appointed reception hall and accompanying rooms, it's perfect for almost any size wedding. If you would like to know more about my photography and schedule a consultation, please visit my contact page! The southern charm of the Debourdieu Club makes for one of the most diverse luxury locations in South Carolina. With the beautiful late summer colors and military dress, this wedding was for sure a memorable one for me. A lovely couple that were so comfortable with being in love, which made my job very rewarding.